Ignite your lightsaber if you're a real Star Wars fan! Star Wars has existed for over 35 years and has evolved from a simple movie with a simple story to a world-wide icon. Every corner of the earth has heard of Star Wars and millions upon millions of people have had the pleasure of participating in the epic adventure. Not surprisingly, there are a lot of Star Wars fans out there. I've encountered a lot of self-proclaimed Star Wars fans in my time and I've come to understand that being a Star Wars "fan," actually means a lot of different things to a lot of different people. Honestly, what really constitutes a Star Wars fan? 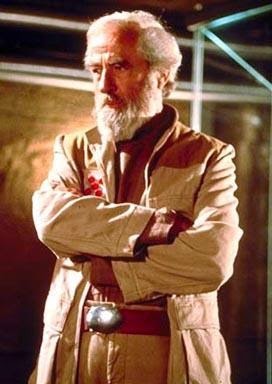 Is a true fan someone so well-versed in the movies that they can name the entire cast of the original Star Wars movie, including the actor who played General Dodonna? (It's Alex McCrindle by the way). Or is a true fan is someone who's read the every Star Wars book ever published (and even written a fan-fiction of their own)? Is a true Star Wars fan someone who regularly participates in Star Wars cos-play with the 501st Legion and owns at least a dozen collectible action figures? Or is a Star Wars fan simply someone who enjoyed a few of the movies? Before I get in to my thoughts on the subject, I invite you to take a second and think about what makes a "true," Star Wars fan for you. In case you didn't read the accompanying caption, it reads "Did you see it INSTANTLY? 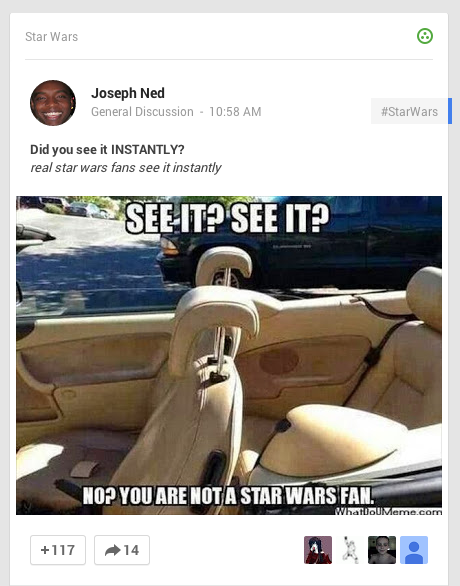 real star wars fans see it instantly". What the post is alluding to is the fact that the seats in this car somewhat resemble the battle-droids present in the prequel movies. Don't feel bad if you didn't get it at first. I know I didn't, and that it really bothered me. You see, if this is what it means to be a real Star Wars fan then anyone with a good eye for pop-culture references can join the club. While I didn't get the reference right away, a friend of mine who hasn't even seen all six movies got it without hesitation. By this definition he was the real fan and I was not. Since that was something I was not okay with, I immediately cracked my fingers, hunched over my computer, put my thinking cap on and dove a little deeper into the internet to learn what really makes a fan, a fan. This is me, searching the interwebz. By definition, a fan is simply "someone who has a strong interest in or admiration for a particular person or thing." Fan is really just an abbreviation of the word fanatic, however, and fanatic carries with it the even more dubious definition of "a person filled with excessive and single-minded zeal, especially for an extreme cause." Unfortunately, these definitions aren't that telling. Sure, it defines a fan as someone with "strong interest," in something, but that doesn't bring us any closer to an actual understanding of the word. I mean, whose to say what qualifies as having a strong interest? Furthermore, I not only think having a "excessive and single-minded zeal" towards Star Wars is unhealthy, but also not indicative of being a fan. If anything, its indicative of being crazy. 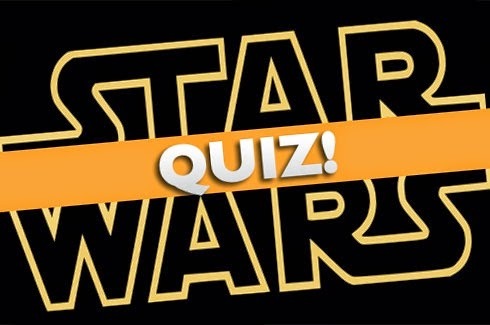 As I continued my search, I quickly discovered that the internet was home to a plethora of various quizzes and tests you can take to challenge your Star Wars knowledge. There are tests to see if you are a "true," Star Wars fan, a "real," Star Wars fan and even a Wiki-How on how to become a Star Wars fan. At first, I thought I had found my answer. I took test after test, pitting my Star Wars knowledge and experience up against that of the quiz authors and seeing if I was truly the Star Wars fan I wanted to be. This experiment, however, only brought disappointment. The online quizzes available essentially fall into three categories: Either they're short, painfully easy and tell you nothing; they're insanely hard, specific to some random pocket of Star Wars fandom and tell you nothing; or they are so poorly written and inaccurate that you can hardly finish the thing, and they still tell you nothing. With all of them claiming that they were THE quiz that would set you apart as a true Star Wars fan, I was left, yet again, with no clear answer as to what a Star Wars fan actually was. I began to question everything about my Star Wars fandom. Was I really the fan I thought I was? I mean, I obviously don't know everything there is to know about Star Wars. There are Star Wars books I haven't read. There Star Wars videos I haven't seen. There are famous Star Wars celebrities I haven't met. And there are Star Wars collectibles that I do not own. This might sound strange, but I knew that I would never be the best at Star Wars. I seriously began to wonder, "Why do I even care about Star Wars?" So I decided to re-watch all six movies. And that's when it hit me. Being a TRUE Star Wars fan (as I see it) is a lot like being true to yourself. In fact, I'm not sure being a Star Wars fan is something you necessarily choose. It may just be something that you are. Simon Pegg echoed this thought when he said that "being a geek is all about being honest about what you enjoy and not being afraid to demonstrate that affection. It means never having to play it cool about how much you like something." 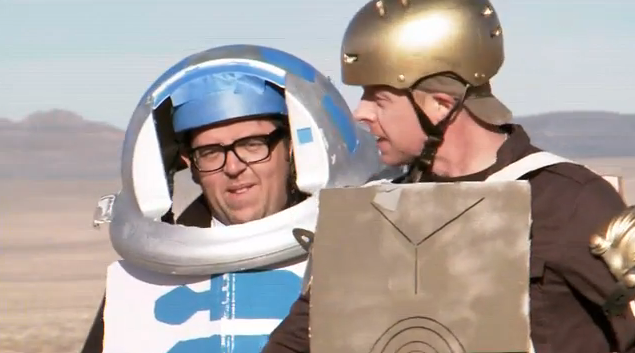 Simon Pegg is the fellow on the right. He betrayed us and went to Star Trek but it's okay because reasons. In other words, if you are a true Star Wars fan you'll know you're a true Star Wars fan. I don't think you'll feel the need to tell people you're a fan, because I think it will be apparent. And I don't mean that people will notice your new Star Wars themed shoes and that's how they'll know. Instead, I mean that being a true fan of Star Wars will simply come out in your personality and who you are. And you know what? That may include buying a brand new pair of Star Wars shoes, but maybe it won't. To recap everything I've said, a Star Wars fan is someone who is honest with themselves about their love for the epic saga. If they're truly honest, the fact that they're a true fan of the series will be apparent in who they are. They might own hundreds of collectibles, do a great Chewbacca impression or know the exact height of every major character in the movies. Then again, maybe they've only seen the films once. And if they're really amazing, they'll even be able to look at some seats in a car and notice a resemblance the seats have with battle droids. 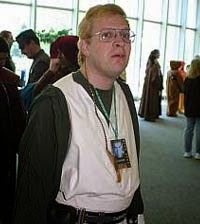 First image that comes up when I searched "Star Wars Fan." By my logic, there's no "one-size fits all," definition to being a Star Wars fan, and it doesn't matter how hard-core you are. That being said, I think there are some questions you can ask yourself introspectively to get a sense of your own Star Wars fandom. 1. When was the last time I thought about Star Wars without being prompted to? 2. When was the last time I brought up Star Wars in a conversation? 3. What is my favorite and least favorite parts about Star Wars? 4. How has Star Wars changed my life? 5. Why am I even reading a blog about being a Star Wars fan?